With the many restorative treatment options available in modern dentistry, there’s no reason anyone should endure the discomfort or embarrassment of missing, damaged or worn teeth. The dentists at Avery and Meadows offer a variety of ways to return your mouth to optimal function, comfort and appearance. Dental bonding allows us to perfect your smile in one easy visit – we simply prepare the surface of your tooth, apply a bonding material to your prepared tooth, and carefully sculpt composite resin to fill gaps, repair chips, restore small cavities or cover minor stains. To restore teeth that have cavities and decay, we offer tooth-colored composite fillings. White composite fillings blend perfectly with the natural color of your tooth – virtually disappearing in your smile. These natural looking fillings also provide safe, strong protection for your tooth for years to come. There are times when damage or decay to a tooth requires more than a tooth-colored filling to restore it to health. In those instances, we may use a porcelain inlay, onlay or crown. An inlay is a restoration that is used to repair damage inside the cusp of a tooth. An onlay is a larger restoration that is placed inside the cusp of the tooth and extends over one or more sides of the tooth. A crown covers the entire tooth. Inlays, onlays and crowns are tooth-colored and are undetectable in your smile. They also increase tooth strength up to 75% and can last from 10 to 30 years. At Avery and Meadows, we use CEREC technology to create custom-made porcelain restorations in-house, in one visit. CEREC takes a digital impression of your tooth then custom mills a precise restoration. No more messy mouth molds. No more temporary restorations. No more waiting for the lab. No more return visits for the permanent restoration. Now your inlay, onlay or crown can be created and permanently seated in one visit. If you have one or several missing teeth, or if you’re missing all of your teeth, there are a variety of options to restore your mouth to optimal health, function and appearance. A dental bridge is a custom-made false tooth or teeth that is placed permanently between two healthy teeth with two dental crowns. The false teeth “bridge” the gap left by the missing teeth. Bridges reduce the risk of gum disease, help correct some bite problems and help improve speech. 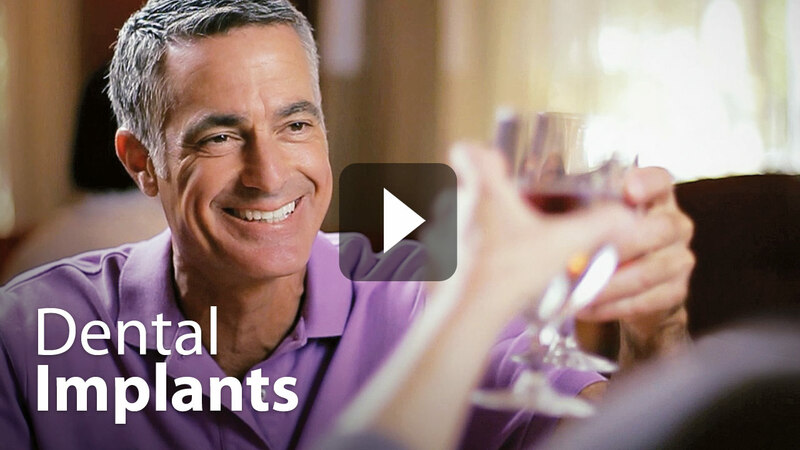 A denture is a removable appliance that replaces missing teeth and adjacent tissues. Made of resin, complete dentures are used to replace all the teeth. When some healthy teeth remain, a partial denture can be used. A partial denture also keeps the remaining healthy teeth from shifting positions in the mouth. Full and partial dentures improve chewing ability and speech, and support facial muscles. Dentures also enhance appearance. Full mouth restoration is recommended when the teeth are worn down, crooked, broken or missing, causing problems in both the function and position of your bite and the appearance of your smile.